What are you trying to achieve with the content you are producing? Are you trying to rank for your key terms, do you want to expose your brand to a mass audience or are you only trying to reach your target demographics? 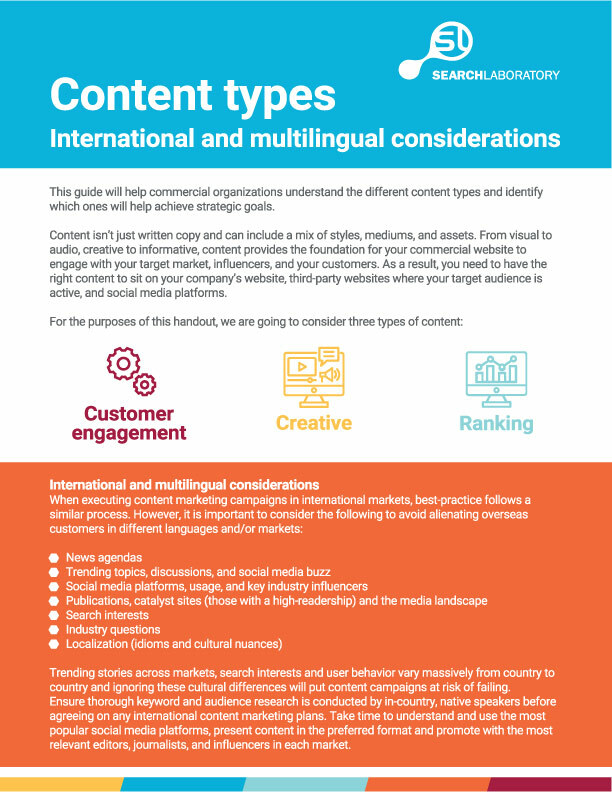 To help you along the way with creating the best possible piece of content you can, we have created a series of cheat sheets on each of these content types for you to get to grips with what you need to do in terms of planning, creation, launch and follow-up for each piece.